Chonayqang'a'? (that's "Will you marry me?" in Klingon). If you're any kind of Star Trek fan, your eyes already got excited looking at the pictures in the post. (If you don't like Star Trek then this will be boring for you.) I found this supercute ring in the shape of the starship Enterprise via George Takei on Facebook. It's made by Paul Michael Jewelry and is available on his Etsy shop. Equally amusing is Paul Michael's Bounty Hunter Han Solo ring. 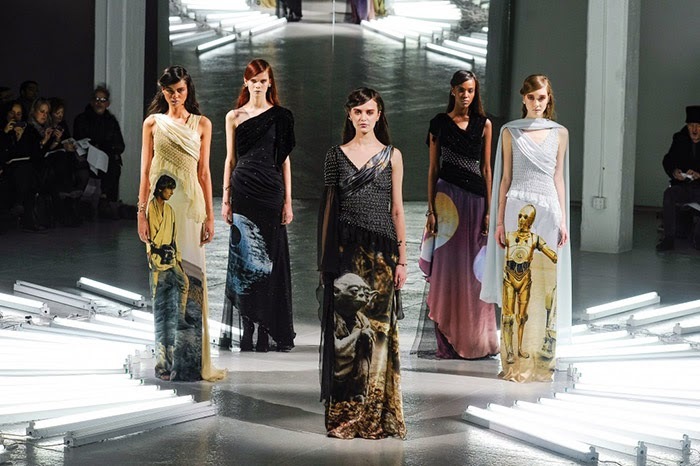 These would be perfect with the gowns from Rodarte's F14 collection. Over the top? Never!